In lieu of flowers memorial donations may be made to either the Diabetes Association or the El Dorado Springs City Cemetery. Ruth Naomi (Hertzberg) Bausch, age 90, of El Dorado Springs, Missouri, passed away, March 30, 2012, at Cedar County Memorial Hospital. Ruth was born June 6, 1921, in El Dorado Springs to Henry D. and Laura A. (Hornbeck) Hertzberg. On June 29, 1940, she was married to Delbert Roy Bausch. To this union three children were born: Joyce, Henry D. and Diane. Ruth was a homemaker and was known for her “killer” cookies. Preceding her in death were: her husband, Delbert; her siblings: Lawrence Hertzberg, Herman Hertzberg, Floyd Hertzberg, Viola Hazelwood, Bob Hertzberg, Cecil Hertzberg, and infant sister Laura Lucille. 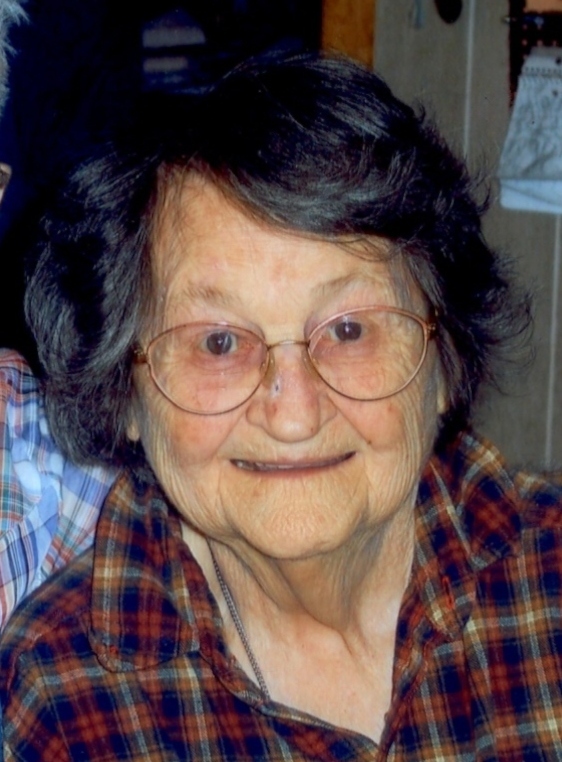 Ruth is survived by her twin sister, Rachel Benham of El Dorado Springs; her children: Joyce Bausch of El Dorado Springs; Henry D. (Butch) Bausch and wife Helen of Walker; and Diane Carder and husband Dan of Excelsior Springs, MO; five grandchildren: Amber Gulliford and husband Keith; Brien Bausch and wife Kendra; Brenda Bausch; Becky Bausch; and Jeffrey Carder, currently serving in the Army in South Korea; and many other relatives and friends. Funeral services for Ruth Bausch were held Monday, April 2, 2012, at 2:00 p.m. at Bland-Hackleman Funeral Home, with Rev. Brent Bland officiating. Burial followed in El Dorado Springs City Cemetery under the direction of Bland-Hackleman Funeral Home.